It’s a fragrance that envelopes you and cradles you in nature’s own embrace. Mukhallat Khatari’s invigorating floriental-woody fragrance bottles the calm of a forest clearing in a wild, beautiful pod. The top notes of jasmine intertwine with saffron and lemon, the middle notes of fragrant ylang-ylang and rose are treated to a hint of cumin, and the base notes of sandalwood and musk are laid in a bed of patchouli. 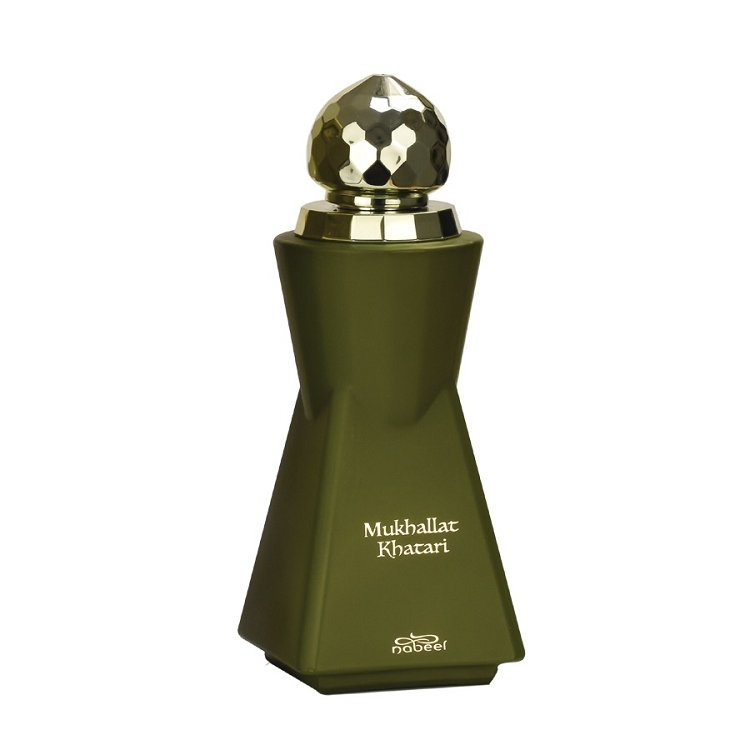 The fragrance is trapped in a deep green flacon and packaged in a box to match. I ordered 'Khatari' on a whim, as the bottle is beautiful and the notes sounded intriguing. This is a very complex fragrance, with a top dominated by citrus which fades over the first hour to reveal a heart centered around rose balanced with sweet flowers and a subtle touch of fruit. the sweetness here is never cloying, however, as delicate spices intertwine as an effective foil. The base here is not heavy as I thought it would be; rather, it is moderate-to-light in character, with woody-leathery facets. The heart and base are "locked" together quite well with expert blending, so development leans toward linear. Longevity until a pale skin-scent remains is about 6 hours, with sillage starting out moderate-to-heavy and diminishing slowly throughout its life. All-in-all, 'Khatari' reminds me of a combination of three fragrances already in my collection: 'Hajar' by Al Haramain, 'Touch Me' by Nabeel, and 'Essential Rose Damascus' by Jeanne Arthes. 'Khatari', to me, would be perfect in my spring-time rotation! Very nice- glad that I have it.